With a range of cosmetic treatments available, we can help you get the smile you want. Composite fillings (tooth-colored fillings) offer many advantages over traditional silver fillings. They restore most of the original strength of the tooth because the composite material bonds to the tooth. Since silver fillings do not bond with the tooth, they can actually weaken the tooth, which make your teeth more susceptible to breaking. Restoring broken teeth can be very costly, money that can be saved in the long run by choosing composite fillings. Less of the tooth structure is removed. Maintains the natural appearance of the tooth. Less sensitive to temperature changes. 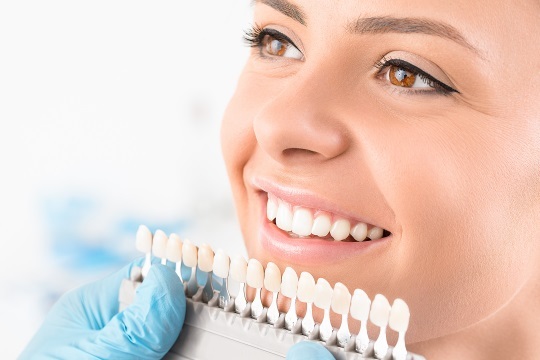 Porcelain veneers are a thin layer of porcelain that are placed over a tooth surface to protect a damaged tooth as well as to improve the appearance, giving you the beautiful smile you deserve.